The ad said Job of a Lifetime! Triton Station is Hope’s new home. At twenty-two years old and already Guild Engineer First Class, she asked to breathe life into the broken spans of Triton’s shipyards. The fall of the Empire brought opportunity for the underground. Triton is home to thousands, organized crime eating the space city like a cancer. They’ve snared Hope’s wife in their net. Hope must get Reiko free. But the cost of Reiko’s freedom might be everything Hope has worked so hard for. As the hungry and the powerful close in for the kill, Hope must find a way out. If she doesn’t, she’ll lose Reiko for good. 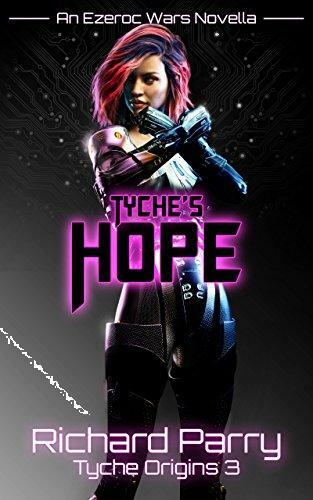 Tyche’s Hope is the third novella in Richard Parry’s gripping Tyche Origins pentalogy. 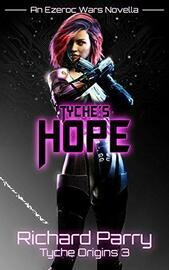 If you like page-turning space opera with great dialogue and heart-pumping action, get your copy today!